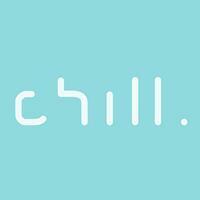 Chill is a digital radio station playing non-stop chillout music on DAB digital radio in London and Birmingham, and online for all the UK at www.helpmechill.com. Chill founder Bern Leckie started by swapping compilations between friends. Now leading chillers like The Big Chill's Pete Lawrence and Fluidnation's Ben Mynott are joining the thousands of listeners who share what helps them chill.